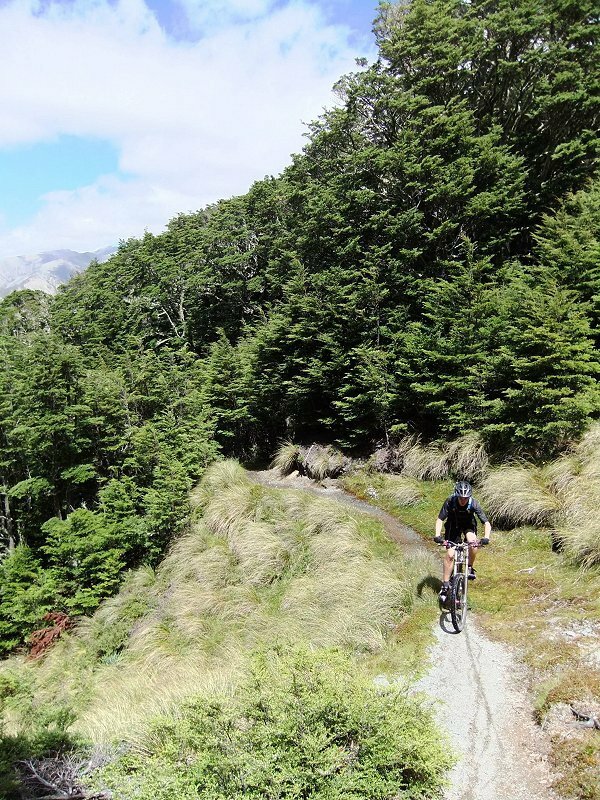 RESTRICTIONS : No Mountain Biking on Helicopter Hill Track or Track from the Mistletoe campground to Lyndon Saddle. LOCATION: From Arthur's Pass travel on Highway 73 for 40km (40 minutes) towards Christchurch. Turn right onto the Broken River Skifield road (gravel). See the Lyndon Saddle / Helicopter Hill guide for a description of getting to Lyndon Saddle. If you can arrange transport to pick you up on the Craigieburn Skifield Road this is an easy crossing walk, about 2 hours one way. Otherwise you can walk down the Craigieburn Skifield Road to the main highway and back along to the Craigieburn picnic area (about 3-4 hours circuit).